The council say that the majority of displaced residents have already returned home. LIMERICK CITY AND County Council says that all of the 300 homes damaged by flooding in the last fortnight will be repaired within the coming days. The majority of people have already returned to the privately owned and local authority owned houses in Kings Island, St. Mary’s Park and Corbally. Council staff have been cleaned and sanitised the homes and they are currently being mechanically dried out. “Since February 1 the local authority, in conjunction with other public service organisations, has been liaising with residents and business owners affected by the unprecedented flooding in the City. 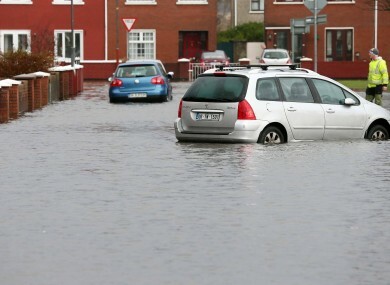 Email “Repair work on flooded Limerick homes 'nearing completion' ”. Feedback on “Repair work on flooded Limerick homes 'nearing completion' ”.